Designing a theatrical set poses many challenges both practically and artistically. While set design differs greatly from play to play, some basic principles remain constant throughout the career of a set builder. These steps will provide a basis for a quality theatrical set design. Become acquainted with the play. Read the script paying careful attention and taking notes about any set requirements that are specifically mentioned in the script. For example, some plays require stairs or will have references to door placement. These specifics were included for a reason, so be respectful in your designs and lay out the set according to the author's intentions. Also take note of the play's time period, and any antique pieces you will need to procure in order to make the set timely. Sketch a floor plan layout of the set. Most sets need a minimum of three walls, so begin with these, setting the stage-right and stage-left walls at an angle extending outward toward downstage to allow maximum set area. Include any door openings within the walls, and sketch the movable set pieces such as furniture or platforms. Once this overhead layout sketch is complete, draw the set as seen from the audience. Include specifics in this design such as color, wall hangings and door structures. Create a model of your set to bring your vision to light. A scaled model of a theatrical set is constructed with cardboard, particle board, model furniture and balsa wood. Make sure the set is built to scale to avoid any complications when set construction actually begins. Creating this model will allow the set builders to better understand your vision for the set and begin creating a common goal throughout the set crew. Dress the set. The most important thing to keep in mind is functionality. The set must allow for easy movement for actors and create distinct staging areas for action to take place on stage. Keep in mind the period of the play, as dated plays will require great attention to the accuracy of the dressing's timeliness. Finally, keep the stage dressing as simple as possible. Think of monochromatic shades throughout the set to create a uniform backdrop for the actual staging of the play. 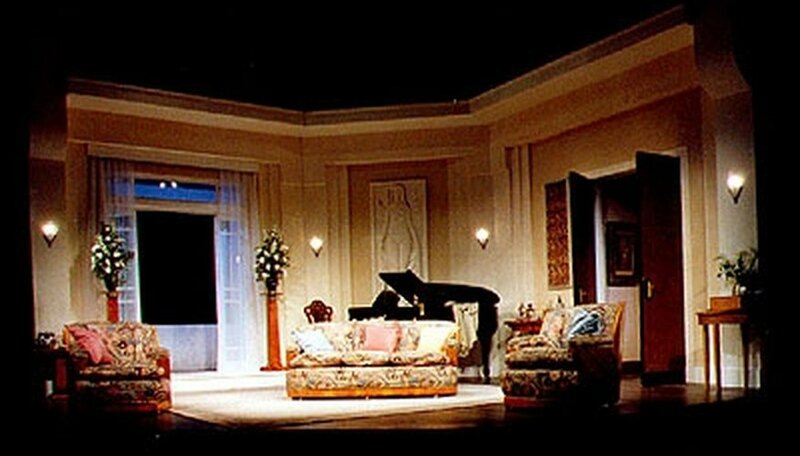 A cluttered set will detract from the action of a play, while a well-defined and clean set will enhance a play's poignancy.